The best bang for your buck will be a used surfboard. If you take the time and shop around, you can score big. You can get a surfboard of great value for a fraction of its new cost. The only problem with used boards is that you don’t always get the exact dimensions that you want and sometimes boards can have hidden problems – some not always to the knowledge of the seller. Hidden cracks and dings can also be hanging out underneath stickers, so make sure to peel those back before you walk away from a deal. Another plus to buying used boards is that you’re helping out the environment by recycling boards, materials. Probably every beginner to professional surfer that has ever existed has put a few used surfboards in their quiver. A new surfboard off the rack is something to behold. The whole process can make you feel like gold. I consider it great therapy just looking at brand new bright white surfboards. There is something about going around and feeling all sorts of boards and picking out the one feels best. Pros here are that you get to touch the board you are about to walk away with. You get to see it right away. Feel what it’s like under your arm, which is considered to be an important test of how well a board will feel under your feet. The cons are the price, my god the price. Oh and another con, you still may have picked a dud, or something that just plain doesn’t feel right once you get it in the water. Ask any seasoned surfer of the time they bought a brand new board only to be dismayed that it quite wasn’t what they thought it was gonna be once they surfed it. It’s a crummy feeling. But when you do get a dreamy one, well that can be magic. Ever try on a tailored suit or something that was built exactly for you? That’s what a custom board can do for you. Oh yeah, and you can also usually get any kind of color or artwork you want done too, of course it’ll cost a lil extra. 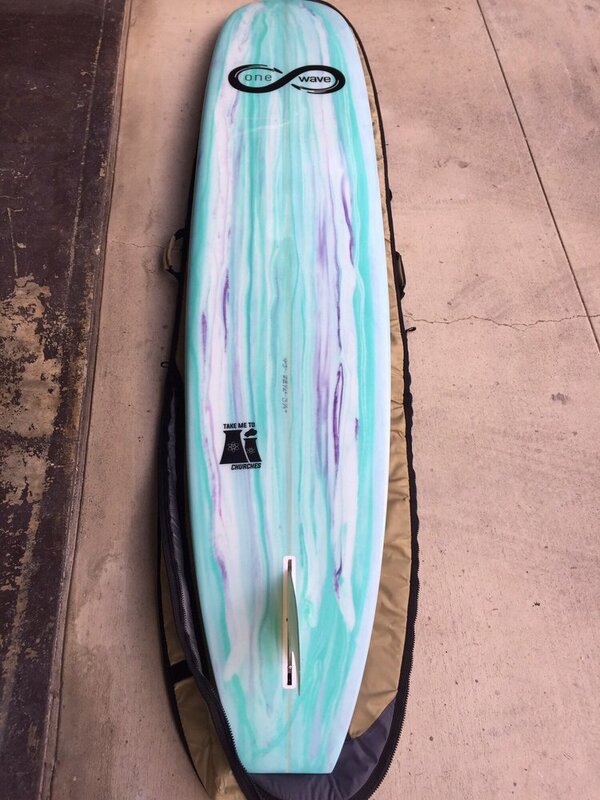 There is something really amazing about having a board in your quiver that your name on it as well. Most shapers will leave a nod to you penciled in on the stringer. Going custom is the way to do it for anyone of unusual size or needs. You can take aspects of other boards and add it to a shape you are also interested in. Custom boards have the possibility to be an amazing experience for a surfer. You’ll never forget your first custom board that was made specifically for you. The bummer, well sometimes shapers get busy and they can lag on getting your board down. Make sure to call them a lot and ask “my board done yet?” – They love that! If you can wait it out, it can be worth it. At the end of the day it’s all amazing. Loving your craft only makes you love surfing more. The more you love surfing, the more surfing will love you back. Share the stoke! ← How to setup a new surfboard before hitting the waves!